When cold temperatures arrive in Minnesota (usually in November), water left in irrigation lines can freeze and cause serious damage. Homeowners who recently installed an underground sprinkler system may be wondering what exactly they need to do to maintain it. 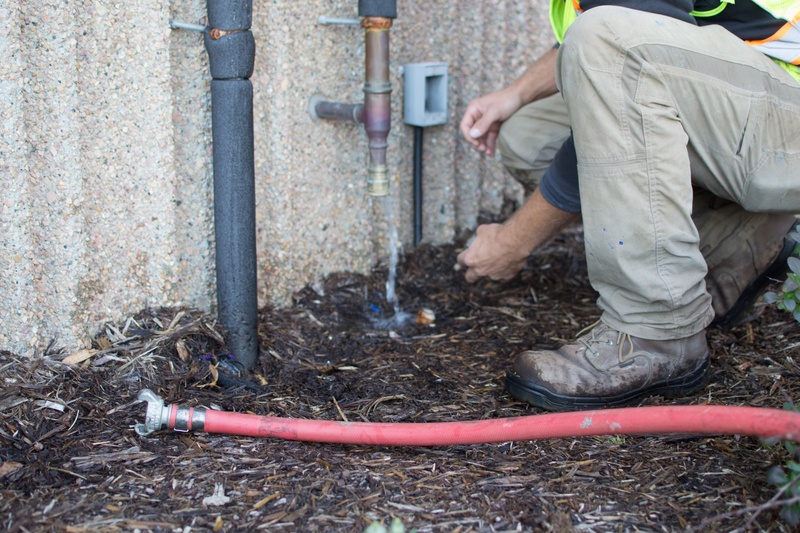 One critical step in maintaining a sprinkler system is to properly winterize it each year. The irrigation lines need to be "blown out" with compressed air to prevent pipes from freezing and bursting. You can sign up for an irrigation blowout here, or read through these frequently asked questions about the irrigation blowout process. From the moment our irrigation technicians arrive, the total process takes roughly 30 minutes. They first verify the water has been turned off. Then they hook up our industrial air compressor to the irrigation system. The air is blown through the irrigation lines and each zone is cleared one by one. This process may take longer if there are a lot of zones, you have a lake pump system, or have other service work to be completed. No. If our technicians have access to the control box, we can complete the work without you being home. The only requirement is that you’ve already shut off the outside water (usually a valve in the basement). When should I winterize my irrigation system? Any time before the ground freezes. Each year is different, but October is typically the best time to turn off your system. 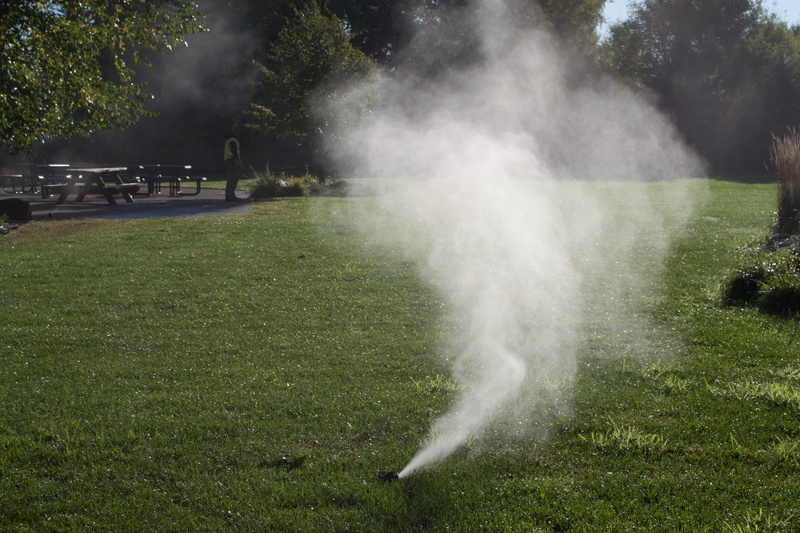 If you want your sprinkler system blown out in October, then you’ll want to contact a service company in September to be put on the schedule. Yes. If you have an air compressor large enough, you can do it yourself. However, most homeowners don’t have equipment or the experience to properly winterize an irrigation system. Our technicians are trained and equipped with the best technology to clear your system safely and efficiently. Our technicians arrive to every job site in an irrigation utility vehicle that’s fully stocked with equipment and accessories. If any repairs need to be made, they can be fixed on site. Attached to this vehicle is an industrial air compressor capable of all systems. How much does an irrigation blowout cost? $80 for a standard system and $135 for a lake pump system. Prices may vary depending on the specifics of your irrigation system. Any service work requested above and beyond a standard winterization will be billed at our regular service rate. What happens if I don’t winterize my irrigation system? Worst case scenario: The water inside your pipes freeze and burst inside your home. There is significant flooding and damage to your basement, plus the irrigation system needs to be repaired. Unfortunate scenario: The irrigation lines crack causing a leak in the system the next season. Best case scenario: The winter is mild, and no damage occurs in the system.